We are the #1 Top Quality Bengal and Toyger Breeder in Los Angeles. We are dedicated in breeding only top quality Bengals and Toygers. We breed Champion Quality Show Cats. We are recognized worldwide for our top quality cats and kittens, and our professional service. 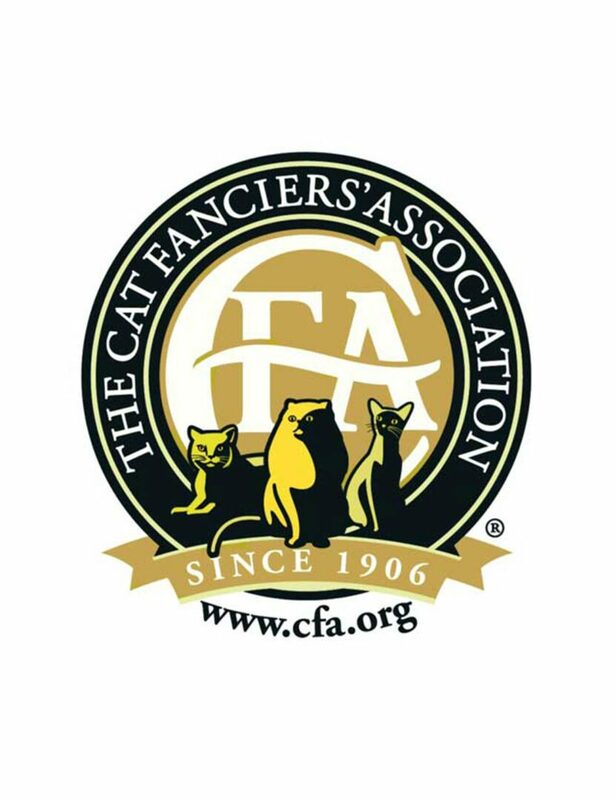 We are registered with TICA (The International Cat Association), CFA (The Cat Fanciers' Association), and licensed with U.S. Fish and Wildlife. For the health of our kittens and cats we only work with USDA accredited veterinarians. We strive to provide our clients the best quality kittens and professional services. 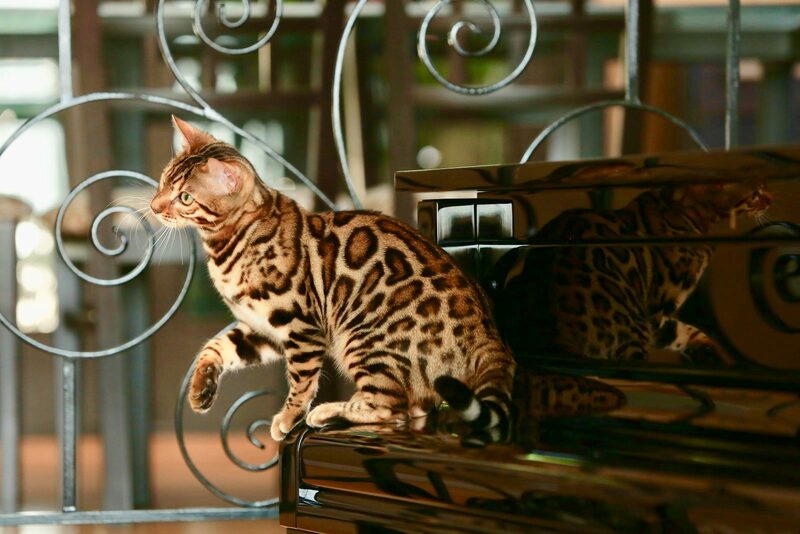 Bengals and Toygers are the world’s most popular “Designer Cats”. As cat designers, we strive to create the most beautiful and exotic looking cats that are set by TICA Breed Standards. We specialize in top quality Brown, Snow, Silver, and Charcoal Bengals. There are only a handful of Toyger breeders in the USA. We are the ONLY Toyger Breeder that is recognized and mentored by the creator of Toygers Judy Sugden in California. 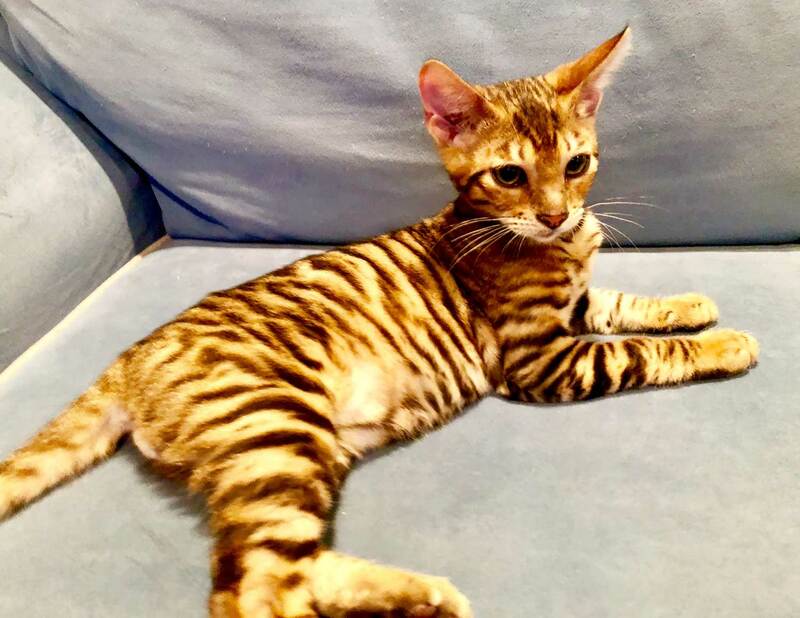 The only Toyger Breeder that has her latest Toyger genetics. All our cats are our pets, our kittens and cats are loved and cared for in our home. All our cats are indoor cats, we do not expose them to wild animals. Their health and welfare are our top priority. We believe in a clean and healthy environment for our cats by keeping a very clean and tidy household. Our goal is to breed beautiful, loving, and well socialized cats. We spend quality time with all our cats and kittens to ensure our kittens are well socialized. They are well taught and handled daily starting at a young age, they are well behaved and not aggressive. All our breeding cats are registered “SBT” Bengals and Toygers. SBT means Stud Book Tradition, which means 4 generations away from the wild. SBT also means it’s an official established domesticated breed that is recognized by The International Cat Association. We do not own or breed any F1, 2, and 3 cats, these are considered hybrid wild cats. Note: Hybrid cats are illegal to own in many cities, states, and countries. Our cats are far from their hybrid ancestors, all our breeding cats have at least 5 generations of SBT pedigree. All our cats are fully pedigreed cats. Our cats all came from Supreme Grand Champion and Quadruple Grand Champion bloodlines with no known health defects. We strive to produce very high quality kittens. We believe in healthy animals so rest assured that all breeding cats and kittens have been examined by USDA accredited Veterinarians and are up to date with all standard vaccinations. We are a disease free cattery. We are proud to be interviewed and published by Cat Fancy Magazine. 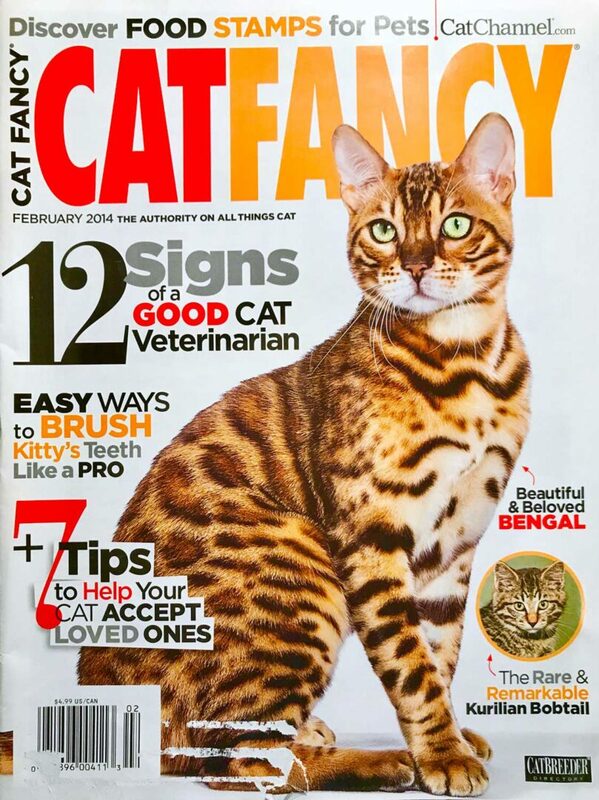 You can find my interview in the Feb. 2014 issue of the Cat Fancy Magazine. I was one of those kids that just loved animals from a very young age. Thankfully, I've got pretty cool parents who allowed me to have many different kinds of pets. My parents' rules for me were that it was my job to take care of them, not everybody else's. If I didn't, the pets would be gone! So starting from a very young age I've learned responsibility for taking care of animals. Learning about animals, and breeding them became my passion. My love for them grew from little goldfish and finches to eventually all kinds of pets and exotic animals. From little guppies to coral reefs, little finches to all kinds of parrots, cockatoos, macaws, toucans, peacocks, swans, turtles, frogs, rabbits, dogs, cats, monkeys, and much much more. I have many years of experiences working in private zoos and aquariums. I’m a certified scuba diver, and I dove in some of the most beautiful coral reefs in the world to further my study of reef ecology. I also propagate corals and sea anemones for the aquarium industry. I've been very lucky to have the privilege to have worked with all of these wonderful species of animals. I've been breeding animals for over 40 years. Naturally, when I first saw Bengal cats many years ago at a cat show my heart knew I must have a Bengal cat. A miniature leopard, how cool is that!!! My first pet Bengal opened the door for me to want to breed Bengals. 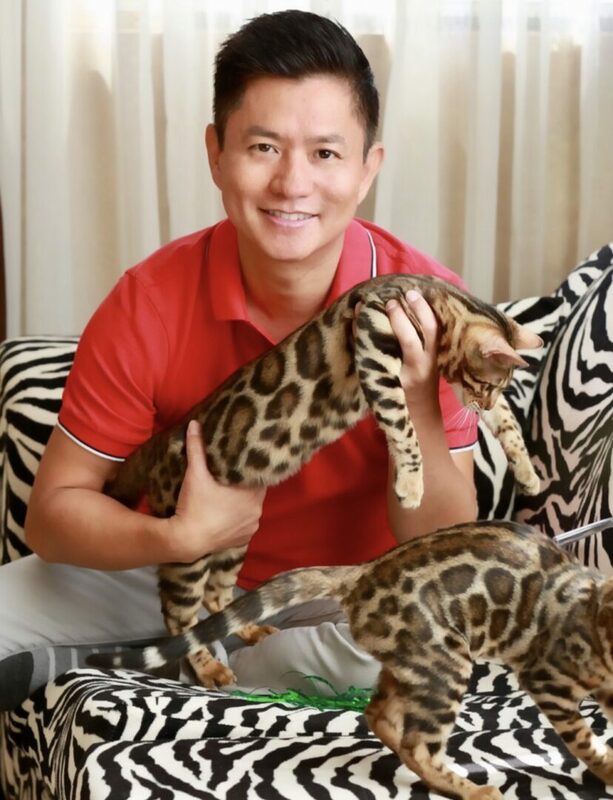 I've found Bengals to be very intelligent and loving animals. Then a few years later I saw Toygers, “Toy Tiger” a cat that looks like a little Tiger, of course I wanted to be breeding Toygers as well. But, I've also noticed that there is so much false information out there about these wonderful breeds of cats. I wanted to be a part of educating the world about Bengals and Toygers. It is my goal to breed the most beautiful Bengals and Toygers with sweetest personalities, and share my love to the world. It has come to my attention that someone out there has used my website to advertise their fake cattery and used my pictures to sell their fake kittens. There are only 5 ways you can contact me. 1) My name is Anthony and my phone number is 310-739-0847. This is the only number to reach me, and the best way to find me. 5) Come meet me in person. I'm in Los Angeles county, CA. I'm in South San Gabriel/Rosemead area. My zip code is CA 91770-3830. There is a map on my contact page to show you where I am. If you are not visiting a cattery in the area shown on the map, it's a fraud! There is a lot of fraud out there. Here are a few things to think about when selecting a breeder. 1) Is it even real? Why are some people offering kittens at a much lower price? What's wrong with it? I know lots of frauds are out there! People steal my pictures to advertise kittens they don't have. I get people telling this all the time. 3) Do they have a real Website? Facebook Page and Instagram are NOT a valid cattery website. 4) Do they own both the mother (Dam) and father (Sire) or did they have to get a stud service from someone? If a Stud Service was used, is that stud a registered cat from a registered Cattery? Can you find that cattery on TICA website? Most TICA registered catteries do not provide stud service to other people. So you'll need to ask where they get the stud service from? And is that Stud a TICA registered cat? 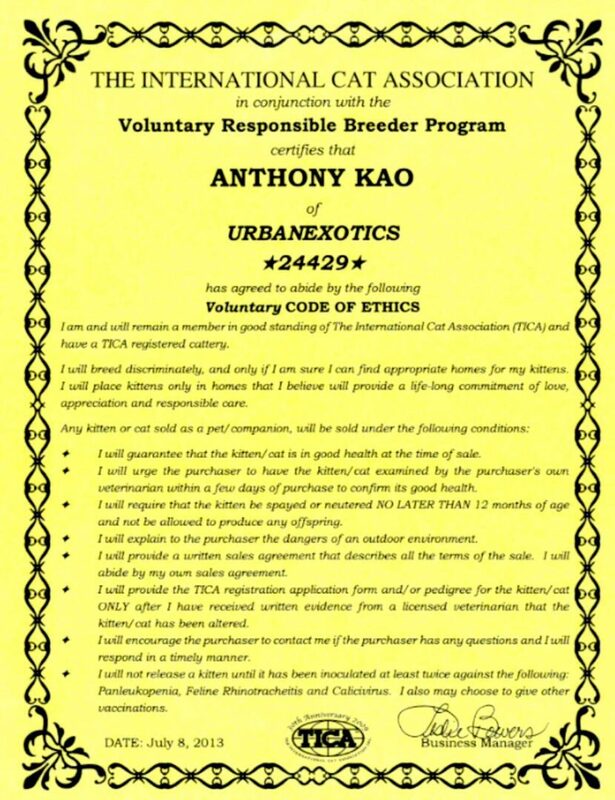 This is very important because only legit breeders with registered cats are able to register kittens with TICA. 5) Pedigree. Only TICA registered catteries with recorded registered cats can provide you a TICA Registration Paper for your kitten. Anyone can get online and get a pedigree program and start to fill in the information and to provide a fake pedigree. The real chronicled Pedigrees recognized in the world are “issued” by TICA. TICA Pedigrees comes in mail, sealed, directly from TICA, not from breeders. This is extremely valuable! Any other forms of pedigrees are not recognized internationally. If you ever had to travel with your kitten/cat out of the country, you will need an official pedigree issued by TICA. 6) Are they ethical breeders? Have they registered with TICA and signed the TICA "Code of Ethics"? My Voluntary CODE OF ETHICS was issued and certified by TICA and is posted here on this page of my website. 7) Are their cats under veterinarian care? You should be able to ask for their Vet reference. And don’t be afraid to call the veterinarian yourself to verify. Be wary of breeders who tells you they use mobil vets. Accredited veterinarian works in licensed Animal Hospital, not out of a car! 8) Has the kitten you’re buying actually been to the vet, had health checks, and vaccines up to date? Vaccines should be administered by the veterinarian, not by the breeders who bought vaccines online and claimed the kittens are vaccinated. An accredited breeder should be able to provide you the kitten’s health records from a certified veterinarian. 9) Veterinarians are expensive! Are their breeding cats under the vets care and are up to date with all vaccinations and annual check ups? Have the kittens been to the vet checked for health, vaccinated, spayed/neutered? Too often breeders self diagnose, self medicate, and self vaccinate the kittens without actually taking the kittens to the vet for check ups. Can they provide vaccine and health records from a registered veterinarian? My Vet info is on the Contact page. 10) Do they provide written Health Guarantee, Health Certificate, TICA Registration Paper, TICA Certified Pedigree? Anyone with a computer can print out a fake pedigree, those are worthless! 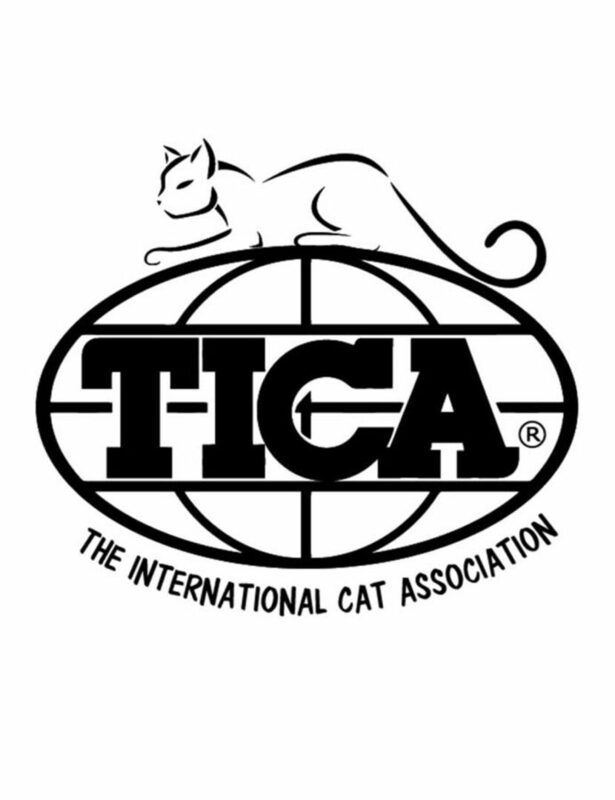 Only registered catteries with registered cats have TICA certified pedigrees. 11) Quality matters! All my breeding cats came from Grand Champion and Supreme Grand Champion bloodlines. I only breed top quality Bengals. 12) Don't be fooled! There is no such a thing as F4, F5, F6, ...etc. The International Cat Association does not recognize them. After F3, there is only SBT (Stud Book Tradition), which means recognized internationally as "domesticated pet," NOT hybrid/wild animal. All our breeding cats have at least 5 generations of SBT pedigree. 13) It's easy to take photos off the internet and post fake ads. Visit the cattery in person and see for yourself. For those of you who are not able to visit in person, I can do video calls such as Skype and FaceTime so you can see the kittens in real time. 14) Over the years I've been approached by many photographers who wants to take "professional pictures" of my cats. They think it will help me with advertising. And over the years I've visited and purchased cats from catteries that had these "professional" pictures. I've noticed one very important thing! In person, none of those cats looked like their "professional" pictures, that's because all those pictures were photoshopped. Remember, in real life, not even super models look the way they do on fashion pages. So I've made a conscience decision to take all my own pictures out of my iPhone, no special lighting or professional camera. This is so my clients get to see my cats as they really are. You'll find majority of my Facebook posts are videos, that's because I like showing my cats as they are. So rest assured, what you see is what you get.